Tas’heel system provides comprehensive online services covering the full spectrum of MOL application processes and more. The categorization of these services are classified in the same manner as they appear on the Tas’Heel system. Tas’heel is an online government system designed to simplify all labour related processes, improve output volume and increase efficiency. It allows companies and typing centers to make online transactions and payments to MOL, encouraging a paperless environment. Through Tas’heel, companies do not have to worry about physically submitting payments or documents – a key element that contributes to efficiently and effectively managing resources. It brings peace of mind and allows companies to focus on other parts of their business. Receive New Labour Card and Mission Labour Card Application: This application is used when attempting to apply for a Labour Card or a Mission Card for the first time. An employee can only be eligible for this application if he/she obtained their Labour Contract as well as their Medical Fitness test. This service can be accessed using the Transaction Number. 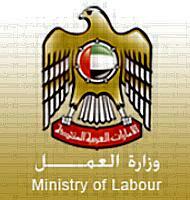 For the normal new labor card must be submitted through TASHEEL system within 60days of entry otherwise penalty will be given by MOL. For Mission Work permit it is valid for 3 month and must be submitted through TASHEEL system within 1 week from the date of his entry, otherwise fine will be 500 for each 10days delayed of submission. Receive Modify or Lost Labor Card Application: This application is used when a modification is made to an employees’ nationality, salary or occupation. It is also used to replace a lost Labour Card. For Lost Labor Cards: A letter from the police is required stating that the employee has misplaced his/her Labour Card and officially reported it to the authorities. This service can be accessed using the Transaction Number. National New Labour Card Application: This application is only applicable for U.A.E Nationals applying for a Labour Card for the first time. An employee can only be eligible for this application if he/she obtained their Labour Contract as well as their Medical Fitness test. This service can be accessed using the Transaction Number. Sponsorship Transfer: This application is used when an employee is transferring to another job and must in turn transfer their sponsorship status. To complete the process, the employee must obtain the cancellation (signed by previous employer & employees) as well as the new contract (signed by the new employer and employee). This service can be accessed using the Transaction Number. The receipt from TASHEEL system. Company License Renewal: This application is used to renew a Company Trade License. This service can be accessed using the Company Code and License Number. Relative Sponsor Work Permit: This application is used when a sponsored relative(wife/family members) is seeking a work permit and is required to provide no objection documents from the sponsor in order to proceed with the application. This service can be accessed using the Transaction Number. Modify Work Permit: This application is used to amend information in the work permit such as name, nationality, passport number, etc. This service can be accessed using the Transaction Number. Replacement of Work Permit: This application is used by the employing company who decide replacing a current employee on a valid work permit with a new employee using the same work permit without incurring additional or new charges. A work permit is valid for 60 days and can be extended for a maximum of 30 additional days. The replacement process can take place only if the work permit is valid. This service can be accessed using the Transaction Number. Create Temporary Work Permit: a person who holds residence visa at another company or family sponsorship. It will be valid for 6 months after getting the approval from MOL. The cause of this application will be depends upon the category of the company. Nawakas Scanning Documents: Nawakas means ‘missing’ and this application refers to missing one (1) or more documents from the requirements submitted for Labour Card and Work Permit applications. This service can be accessed using the Transaction Number. Cancel New Labor Application: This application is used when employee information is entered incorrectly in the Labour Contract Application and requires rectification. The incorrect application must be cancelled using this service after which the system will require an hour to update itself. Once this is done a New Labour application must be entered and submitted. This service can be accessed using the Transaction Number. Online Cancellation: This application is used when an employer seeks to cancel the labour card and contract of an employee (who no longer reports to the employer). The cancellation can be signed electronically or manually depending on whether the company has an electronic signature. Signatures that are manually applied tend to get processed more efficiently and take less time. This service can be accessed using the Transaction Number. Salary Certificate: This application is used when the Ministry of Labour requests from a company the salary certificate of a specific employee.